From the Product Tools section, click One Talk. To navigate, mouse over each option. 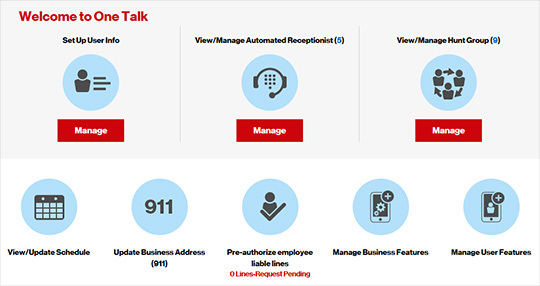 From the Quick tasks section, click View/Manage Automated Receptionist. From the Manage Automated Receptionist page, click Purchase Automated Receptionist . Follow the on-screen instructions to complete the desired transaction.